Since this is a geek blog, I thought it certainly appropriate to comment on two films that I actually got to see in the theater, a rare treat for me as the parent of two young children! Though one of my earliest comic-book memories was some early issue of Iron Man (I’m sure it was drawn by Gene Colan), I’ve never otherwise been a fan of the old shellhead. But for some reason, I sensed in the previews for the movie a real winner that would be entertaining and fun, and I was not disappointed. 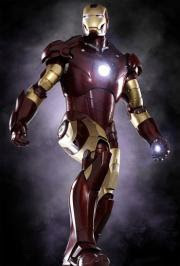 Robert Downey, Jr., was an inspired choice to play Tony Stark, and as in the Spider-Man films (and Marvel Comics in general), director Jon Favreau does a terrific job of credibly making a character like Iron Man part of our real world. Perhaps the highest praise is the fact that one of my non-comics fans buddies attended the film with me and enjoyed it immensely. My one disappointment was the climactic fight scene. Given how strong the movie was, my friends and I agreed that the film deserved a more exciting climactic sequence. The chemistry and romantic tension between Downey’s character and Gwyneth Paltrow was also a big plus. My wife and I had the fortune to catch this movie opening weekend at the Mann Village Theatre in Westwood, California. Located just outside my alma mater, UCLA, it was a chance to see it in one of L.A.’s classic big-screen movie-house theaters, where I recall seeing many of the big event films of the 1980s and ‘90s. Indeed, it seemed like the ‘80s all over again, because we actually had to get on a line that snaked around the block after we purchased our tickets—something I haven’t done much in this era of saturated multiplexes! 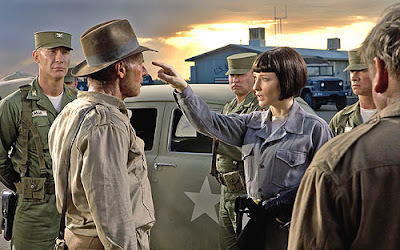 Lucas, Spielberg and Ford faced a tall order: to make an aged series relevant and exciting again for a new generation of filmgoers who have been weaned on expensive action films with high quality special effects, while bringing along those who grew up with the Indiana Jones series, beginning with Raiders of the Lost Ark. While the movie didn’t break new ground or take the series to a whole new level—and it certainly stayed true to the series' formula—within those parameters the film more than delivered. Harrison Ford does look markedly older, but they didn’t try to hide that in the film. (Regardless, one’s gotta be impressed at how physical Ford still is at 65.) Cate Blanchett was impressive as the movie's villainess, proving that fine acting can even elevate a popcorn movie like this, and I was pleasantly surprised to find myself invested in Shia LaBeiouf and his character. And the 1950s milieu worked. It’s likely the last one with Ford in the title role, a worthy addition to the other films, and a great way to go out. Two recent though completely unrelated passings occurred recently that I felt compelled to comment on…. 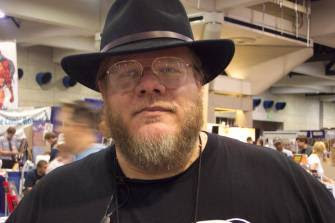 The first is Rory Root, owner of Comics Relief, a comic-book store in Berkeley, California, who passed away May 19, at the young age of 40, following health complications after a surgery for a ruptured hernia. 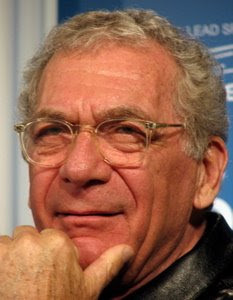 The second and more recent passing is of director-actor-producer Sidney Pollack. Pollack’s work is fairly well known, so I won’t go into detail about his career which is nicely covered by buddy Bob Westal’s Forward to Yesterday blog. While many people will rightly focus on his work as a director, I’d like to praise his fine work as an actor. Pollack has said that he got into directing because he realized he wouldn’t succeed as an actor. Perhaps he meant as a leading men, because on those times he was on screen, he usually managed to shine and often stole his scenes. His work on Tootsie, as Dustin Hoffman’s character’s harried agent, is well known, but as evidence of his talent, I always like to point to his work in Eyes Wide Shut, where he managed in one very small scene to be the one bright light in what otherwise was a very moribund and lackluster film—Pollack was the only actor in the film able to bring life and energy to the movie. He brought similar humanity to a supporting role in last year's Michael Clayton. Most notably, though Pollack certainly was probably one of Hollywood’s true deans of the industry, he also seemed to retain the aura of being a real mensch, which in itself is quite an accomplishment—and that's probably what came through in his work. Rest in peace. As soon as we discovered this common interest, he invited me over to his house one day after school so that he could show me his impressive comic-book collection. One of the first comics he pulled out to show me that he said he enjoyed was Micronauts #1. That one comic-book re-ignited my enthusiasm for comics and I again became a true believer. What drew me in was that writer Bill Mantlo and artist Michael Golden did such a terrific job of taking a toy line (one I was only familiar with through the commercials) and building an engrossing backstory and rich mythos around it. The story took place in the Microverse, a microscopic dimension in which worlds seem to exist as molecule strands. Baron Karza (yet another Darth Vader knock-off from the era) has assassinated and murdered the royal family of Homeworld, the main planet of the Microverse. Meanwhile, the hero, Commander Arcturus Rann, a Micronaut and the last surviving member of the royal family, has been in suspended animation exploring the Microverse and is due to return from his mission. Karza awaits Rann’s return to complete his takeover of the Microverse. Of course, Rann, with the help of some freedom fighters—the Micronauts—escapes and an epic battle across the Microverse between Rann and Karza begins. The course of the war takes them into another dimensions including, of course, present-day earth. 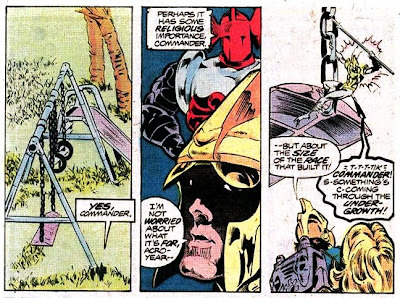 In my view, what raised this science fantasy tale above the usual was Golden’s art and the exciting yet credible way the Micronauts were inserted into our “real” world. 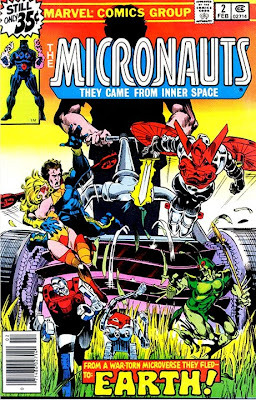 For this crossover, via an astral plane, the Micronauts find themselves crashlanded in Florida, with Karza’s genetically-engineered army in hot pursuit. There they come into contact with a troubled young boy and his pet dog, a cocker spaniel, who in the best Steven Spielberg tradition finds the tiny Micronauts and helps them—after, of course, thinking they are toys. One of the most exciting sequences for me occurred in issue 3, when the Micronauts get involved in a major space battle over the Daytona 500 race track during a car race! After paying his dues for a few years, this series became artist Michael Golden’s coming out party, and Golden does a credible job of convincingly portraying the Florida environment and contrasting the mundane everyday world with the tiny Micronaut invaders who suddenly intrude into our world. 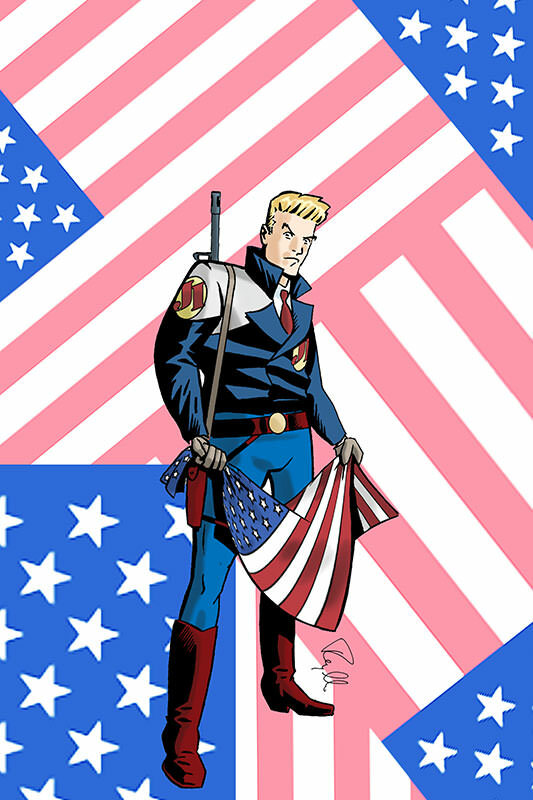 The first 12 issues of the series essentially completed the introductory story arc and the series continued until 1984. (The series periodically has resurfaced over the years in new series.) Though I continued the series for many issues beyond that initial 12-issue arc (the notoriously slow Golden left the series at that point), the series seemed to focus more on the science and space opera elements, and moved away from the elements that initially drew me in, particularly in intersecting the series with our own world—instead, the popularity of the Micronauts soon doomed them to the inevitable crossovers with other Marvel universe characters like the Fantastic Four, so I eventually lost interest. But those initial issues really grabbed me and remain close to my heart today. Credits: Thanks to the Micronauts Wikipedia entry and the Micronauts Home Page for refreshing me on the history and background of the series. 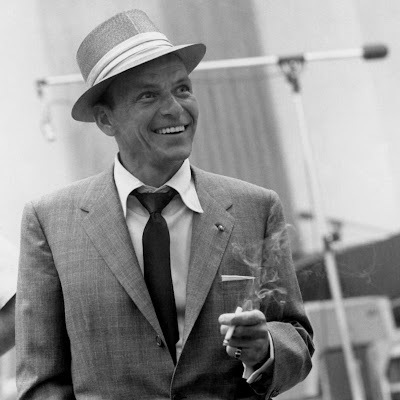 While Sinatra and the Rat Pack have enjoyed a resurgence in the last decade—perhaps sometimes as much for kitch value as for their talents—my appreciation for Sinatra goes back to my parents and, particularly, listening to WNEW-AM in New York City during the late 1960s and ‘70s, which still focused on Sinatra and his fellow crooners. WNEW helped pioneer the idea of the disc jockey and the use of records on the air, and featured DJs like William B. Williams, Ted Brown, and Julius LaRosa. I grew up with that sound in my household and as a result developed an appreciation for these tunes. Of course, by adolescence and high school, I also discovered rock ‘n roll. By college, I found I still was able to enjoy rock while also indulging in Sinatra without guilt or shame. By the time, I hit early adulthood and, subsequently, middle age, I have found that my admiration for Sinatra’s gifts and talent has only grown with time. Sinatra’s voice changed significantly as he got older, so some of his work that many people are mainly familiar with—such as “New York, New York”—do not show off his skills best. Like Bing Crosby, Sinatra deftly knew how to use his voice and a mic, and weaved his voice with the melody and the instrumental. Thought I'd also throw in this clip from the film High Society, starring Sinatra, Crosby and Grace Kelly. This was a favorite of my brother and me when we were growing up—frankly, seeing Sinatra and Crosby together in a movie was as thrilling as a Superman-Spiderman crossover!